Recently I heard of the sudden death of a friend I knew as a teenager. 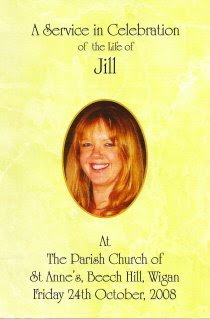 Jill was a few years younger than me and died suddenly in her garden I am led to believe. She was someone I only knew closely for a few years but was part of one of the most important times of my life. I was 16, almost 17 and lost. I’d just finished my O-levels and had not done well. Lots of reasons for that but the main one was lack of motivation and a not knowing what I wanted to do with my life. I have been brought up in an Anglican church and made a commitment to Christ at the age of 10. It was real enough and although I never grew in my faith much I knew that I was different. By the time I was ready for sixth form I chose to stay on simply because I didn’t know what else to do. During the end of the summer term before sixth form I went to a youth group meeting in a house. It was strange for me an Anglican, at that time we didn’t really even have prayer meetings outside the normal services. This led in a round about way with me being asked to go to help at a youth camp to be held in August in the dales around Settle, North Yorkshire. As a family we were poor, no money for camps. A small miracle of provision took place, unexpected income which meant I could go. I remember arriving at the camp a few days early to help the pastor set up the tents. The scenery was stunning, I remember laying in my tent with my head sticking out from under the side looking at the stars in the night sky. I felt like I could reach out and grab hold of them. Jill arrived with her younger brother Nick and a friend of hers from school. I think she was 14 and had the most beautiful face and bright red hair. Nick shared my tent and I quickly got to like him. I remember teasing Jill during the week as teenage boys do to teenage girls and thinking that she had a great sense of fun. That week changed the course of my life. I had been a smoker for two years and stopped overnight, I was ‘on fire’ for God and excited at the reality of faith. I went back to school and within a few weeks two of my friends made commitments. We started a Christian meeting led by a teacher and other friends joined. Where I was hiding faith, now I was telling everyone. The church that led the camp was a Pentecostal one. I was told they were weird and extreme and had previously had a bad experience at a meeting I attended. What I had seen and felt at camp gave me the courage to go and try it again. It was a special time in the life of that church. The love of God was real and the Spirit of God moved in His gifts. The pastor was a true man of God worthy of a book to be written about him. It was so joyful to be there at that time. Just before I attended the camp I had been to some youth meetings there led by a group of bible college students from Birmingham Bible Institute. One of the couples helping out were due to end their study and the wife was heavily pregnant with their first child. Neil the husband became the Assistant Pastor and looked after us all as young people. As the group grew together we began to do things together in ministry. I could play guitar and had the courage to sing so I kind of led that side of things. Neil and Ruth were lovely people. He was a fiery preacher and a fervent man of prayer. I loved that about him. As young people we would go door to door every week spreading the gospel. There are many funny anecdotes to tell. Through Jill I was invited to her home. Dave and Dorothy (Dode) had just had a baby son, Christopher. I remember my first visit to them. They said I could go any time. I remember walking around the area they lived in for over an hour before plucking up the courage to knock on the door. I needn’t have worried, they welcomed me with open arms. From that time until I went to Bible School a year later they adopted me as a son and I spent three nights a week there. Jill became a sister to me and I was changed by my first real experience of family. I was taught manners, I could debate and enjoy jokes and laughter. It gave me something that was precious. As time went on I left the area, they moved church and house, and apart from a couple of encounters at church and weddings that was it. After my divorce to my first wife I had no contact. The strange thing was Dorothy taught all my older children at Primary school and was a strong support to them during the first years of separation. Jill’s death was a shock and I feel sad. Sad not to have the chance in this life to catch up and reminisce. I also can smile at the memories and remember the affection we shared. God knows the answer to why so we need to have faith to trust Him for that. I know I will see her again and we will love each other as never before. I thank God that He knows who we need and at what time. People are doors and pivot points in life. I ask that I may be a door to someone else. Bless you Jill. Bless you Moulson family. I love you and thank God for the impact you have had on my life.